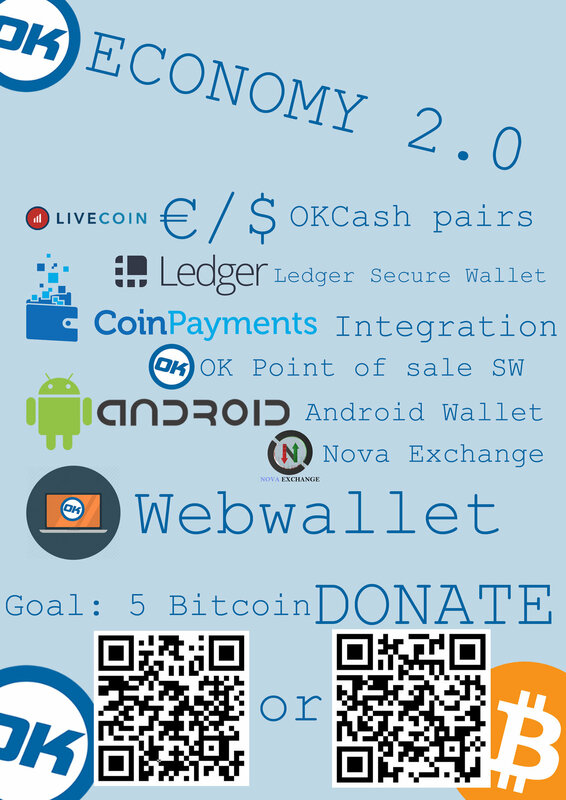 Hello my loved OKcash community! For that we got alot of things ins store. Besides the great development progress at the different projects like OK Embassy and OKMap there are some other goals to achieve. gave my 2 cents. To the m00n!!11! Awesome, ty in name of the community. to aquire a Raspbery Pi kit for Coinfest UK 2017 Okcash stand. The Raspberry Pi 3 kit will be given away to a lucky assistant to the Coinfest UK 2017 Event, in a lottery style or game in the last day of the event. All this thanks to you! The OK Champs! and Coinfest sponsoring Raspberry Pi 3 devices/kits for the assistants! Sent 18,074 OK from the economy fund to Coinfest UK 2017 funds, it will cover the printing of shirts for the event + adding to the coinfest event funds. Again, big thanks to all of you and the donators, you are the ones making possible all of this magic.